LOUISA COUNTY, Va. (WTVR) -- Goats, horses, emus, sheep, rabbits, chickens, turkeys, a peacock, ducks and cats were among the hundreds of animals rescued Wednesday, according to the Louisa County Sheriff's Office. An estimated 400 animals were discovered after Louisa Animal Control was dispatched to West Old Mountain Road to deal with goats in the street. "When they went to put the animals back in, [they] located several more animals that were in distress and some that were deceased. 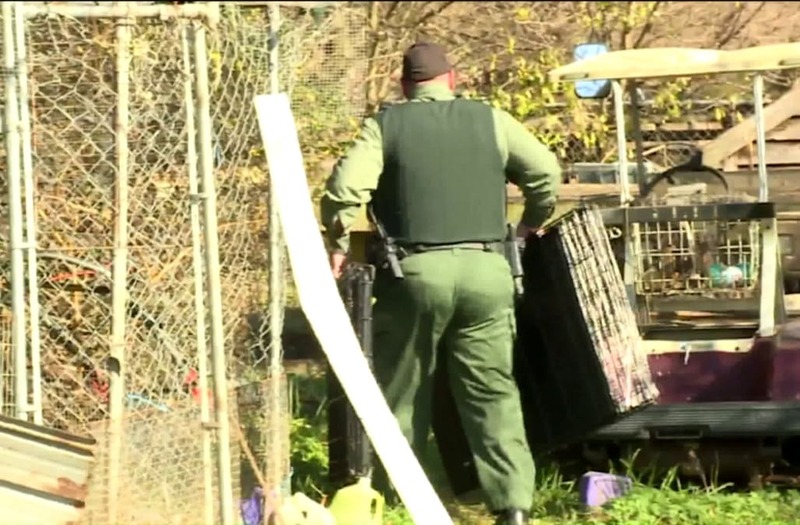 A veterinarian responded and suggested that some of the animals would have to be euthanized, and the rest of the animals would need to be removed," a Louisa Sheriff's Office spokesperson said. "These animals are going to be housed at the Louisa Fireman's Fairgrounds until more suitable arrangements can be found." Three detectives are working the case while volunteers from Louisa's Community Animal Response Team (Louisa CART) try to find homes for animals that survived. Goats, horses, emus, sheep, rabbits, chickens, turkeys, a peacock, ducks, and cats were among the hundreds of animals rescued from a Virginia property Wednesday, according to the Louisa County Sheriff's Office. “The homeowner actually lived in a different location, so there was nobody actually living here,” Major Donnie Lowe with the Louisa Sheriff's Office said. Lowe walked around the farm where goats, guinea pigs, chickens, cats, and ducks were found nestled between parked school buses, old cars and mounds of old tires. "Volunteers are needed to help assist in the care of these animals," the sheriff's spokesperson said. "If you would like to assist, please contact Louisa CART (540-223-1196), the animal shelter or the Sheriff's Office." However, officials said some animals were in such poor condition they could not be saved. “Guinea pigs and goats they were just so (emaciated) and sick that we couldn’t save them,” Lowe said. However, family members of the woman who had been taking care of the animals disputed the decision to seize the menagerie. Colna said his aged mother was doing the best she could to care for the hundreds of animals. Officials said the commonwealth’s attorney will determine if animal neglect charges are filed in this case.